The hills of West Texas rise in waves around the Hobby-Eberly Telescope, a powerful instrument encased in a dome that looks like the Epcot ball. Soon, it will become more powerful still: Scientists recently primed the telescope to find evidence of dark energy in the early universe, prying open its eye so it can see and process a wide swath of sky. On April 8, scientists will dedicate the new telescope, capping off the $40 million upgrade and beginning the real work. The dark energy experiment, called Hetdex, isn’t how astronomy has traditionally been done. In the classical model, a lone astronomer goes to a mountaintop and solemnly points a telescope at one predetermined object. But Hetdex won’t look for any objects in particular; it will just scan the sky and churn petabytes of the resulting data through a silicon visual cortex. That’s only possible because of today’s steroidal computers, which let scientists analyze, store, and send such massive quantities of data. The hope is so-called blind surveys like this one will find stuff astronomers never even knew to look for. In this realm, computers take over curation of the sky, telling astronomers what is interesting and worthy of further study, rather than the other way around. These wide-eyed projects are becoming a standard part of astronomers’ arsenal, and the greatest part about them is that their best discoveries are still totally TBD. To understand dark energy—that mysterious stuff that pulls the taffy of spacetime—the Hetdex team needed Hobby-Eberly to study one million galaxies 9-11 billion light-years away as they fly away from Earth. To get that many galaxies in a reasonable amount of time, they broadened the view of its 91 tessellated stop-sign-shaped mirrors by 100. They also created an instrument called Virus, with 35,000 optical fibers that send the light from the universe to a spectrograph, which splits it up into constituent wavelengths. All that data can determine both how far away a galaxy is and how fast it’s traveling away from Earth. But when a telescope takes a ton of data down from the sky, scientists can also uncover the unexpected. 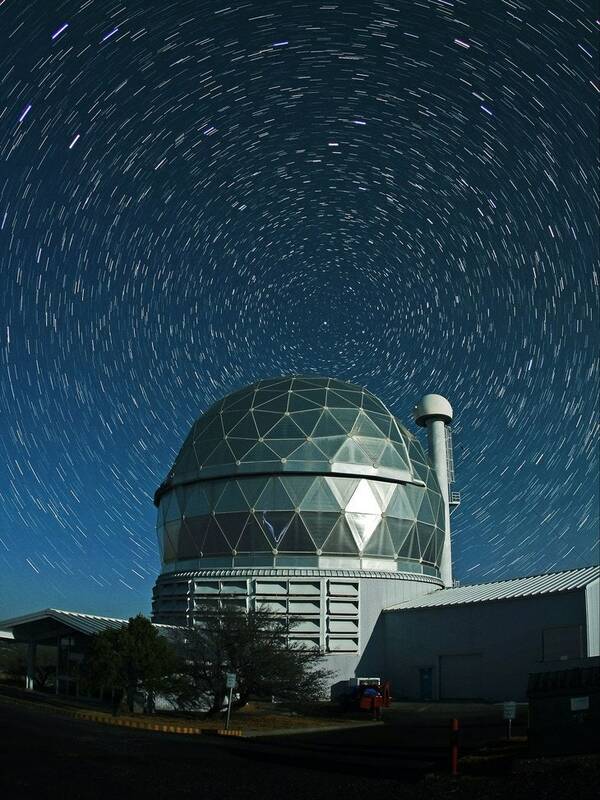 Hetdex’s astronomers will find more than just the stretch marks of dark energy. They’ll discover things about supermassive black holes, star formation, dark matter, and the ages of stars in nearby galaxies.